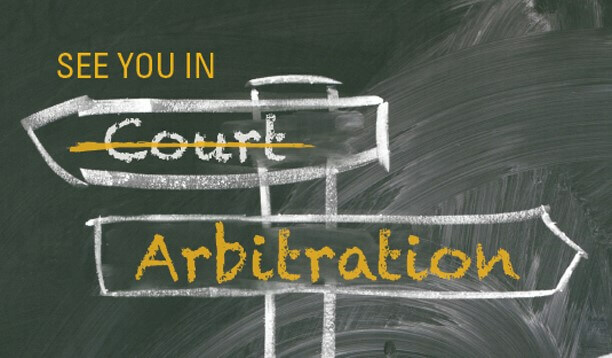 According to Article III of the 1958 Convention on the Recognition and Enforcement of Foreign Arbitral Awards (the “New York Convention“), courts of a Contracting State have the obligation to recognize and enforce an arbitral award. However, it must be borne in mind that the latter have the possibility of refusing the recognition and execution of an arbitral award in the presence of cases exhaustively listed by the Convention. – V(2), which does not protect the interests of the losing party, but rather those of the State of enforcement, especially in the event where the award violates its Public Policy. (e) The award has not yet become binding on the parties or has been set aside or suspended by a competent authority of the country in which, or under the law of which, that award was made. Article V(1)(a) does not set up an appeal procedure allowing the losing party to challenge a decision on its merits. This would contravene the spirit of the New York Convention, which is to ensure the effectiveness of arbitral awards. It only allows setting aside the enforcement of an arbitral award when (1) the parties are in a situation of incapacity under the law applicable to them or (2) the arbitral agreement is invalid under the law to which the parties have subjected it or, failing any indication thereon, under the law of the country where the award was made. The first question to be asked is linked to the interpretation of Article V(1)(a). How does this provision interpret itself? In other words, shall a State court seized of such a recourse set aside the award when one of the exhaustively enumerated cases arises or only may it exclude it. In other words, do State courts have a margin of discretion? The drafters of the Convention preferred to attribute this decision to the State courts seized by such a recourse. Thus, the use of the term “may” in Article V grants discretion to State courts. However, it should be borne in mind that the purpose of the New York Convention is to enhance the effectiveness of arbitral awards. Therefore, it is imperative that Article V be applied in good faith. It is first possible under Article V(1)(a) for a Party to assess that the arbitration agreement was in fact invalid by alleging that it was not a party to it. To illustrate, an arbitral award was issued in Romania in favour of a Romanian seller against a German company. After the award was rendered, the German company changed ownership. The new owner decided to contest the enforcement of the award but enforcement had, however, been granted. According to the State court, under exceptional circumstances an award can be enforced against another person if that person is the legal successor to the party to the award. However, this favourable solution may not apply to the doctrine of piercing the corporate veil. A U.S. court decided that, even though the company against whom enforcement was sought was a parent company of the company that was actually a party to the arbitration agreement, the award could not be enforced against the parent company, as that company did not form a “single entity” with the respondent. Second, Article V(1)(a) allows a respondent to allege that a tribunal wrongly assumed its jurisdiction over a dispute. This statement is the application of the Kompetenz-kompetenz doctrine according to which an arbitral tribunal can decide on its own jurisdiction without waiting for a State court to make this determination. However, in terms of enforcement of the arbitral award, the final word is generally with the State court. In other words, a State court can refuse to enforce an award on the basis of Article V(1)(a) if sufficient evidence has been submitted that the arbitral tribunal wrongly upheld its own jurisdiction. Creditor under the award (Taiwan) v. Debtor under the award (Germany) (Court of Appeal 2007), in Yearbook Commercial Arbitration XXXIII (2008) (Germany no. 114) at 541–548. See also Clothing manufacturer (Ukraine) v. Textiles manufacturer (Germany) (Court of Appeal 2009), in Yearbook Commercial Arbitration XXXV (2010) (Germany no. 126) at 362–364 and China National Building Material Investment Co., Ltd. (PR China) v. BNK International LLC (US) (District for Texas, Austin Division 2009), in Yearbook Commercial Arbitration XXXV (2010)(United States no. 690), at 507509. Romanian Firm C v. German (F.R.) party (Oberlandesgericht Hamburg 1974), in Yearbook Commercial Arbitration II (1977) (Germany no. 10) at 240–240. Consorcio Rive, S.A. de C.V. (Mexico) v. Briggs of Cancun, Inc. (US) v. David Briggs Enterprises, Inc. (US) (5th Cir. 2003), in Yearbook Commercial Arbitration XXIX (2004) (United States no. 472), at 1160–1171.